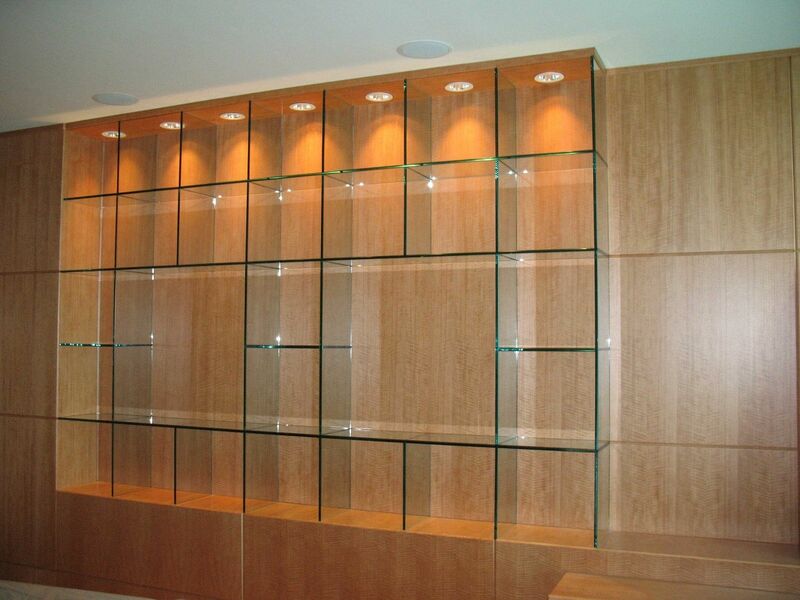 Clean, sleek glass shelving and exotic wood wall and base. Perfect for home or display shelves for retail. No hardware needed, fabricated with industrial UV adhesive.